The New York Times has added to the concerto of reports hinting at the arrival of an iPad with a 7.85" screen this fall. Two weeks ago, Bloomberg offered a similar report, also citing anonymous sources. iMore reported something similar back in May. Amazon has seen some amount of success with its 7" Kindle Fire, while Google recently launched its Nexus 7 tablet. 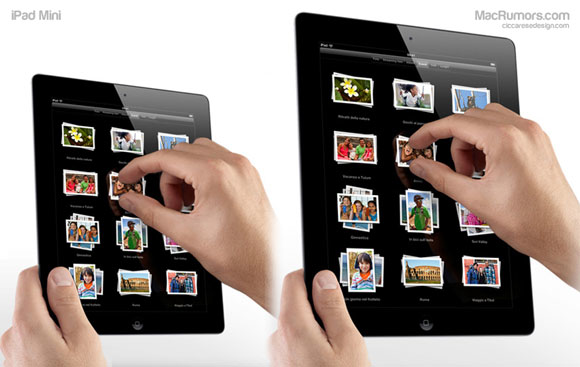 A so-called iPad Mini, priced aggressively by Apple, could prevent other companies from flanking Apple with cheaper tablets equipped with a smaller screen. In October of 2011, Tim Cook said on an earnings call that he was "very confident about our ability to compete and extremely confident in our product pipeline." Another day, another iPad mini rumor. Why do I keep gettingthe feeling that these are controlled leaks? Already ordered a Nexus 7. With Apple iOS products, you are really just buying for the superior ecosystem nowadays, unless you absolutely need a Retina display. Good for some people, not necessary for others. At this point give me one good reason why apple shouldn't make a "mini" iPad? The main things I want a tablet for are reading Google Reader and browsing the web. Nexus 7 does both of these just as well as iPad, but it's £159 instead of £399. I opted for Nexus 7. I think a lot of others will be doing the same when they realise just how good value it is.